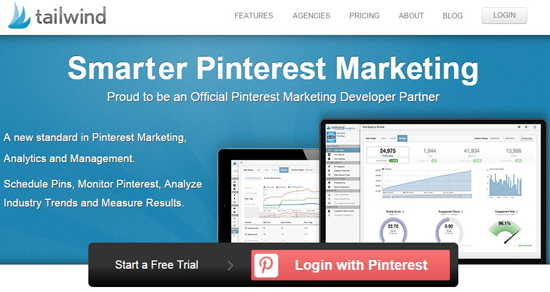 Pinterest continues to gain momentum as one of the world’s largest and most popular social networks. Visually driven in a virtually endless sea of recipes, jokes, business tips and bloggers, it can be difficult to focus properly on analytics, strategy and organized marketing campaigns. Powerful analytics tools for Pinterest users continue to be developed and fine tuned to offer users a strong reporting method on their campaigns and the resulting engagement (or lack thereof) in their market. More mainstream tools like Google Analytics can provide valuable insight that most companies are familiar with by providing a large picture view of Pinterest activity, but there are a number of lesser known, but rapidly growing tools that are specifically designed to translate your follower activity on Pinterest. With the end purpose being better pins, better workflows and ultimately, better engagement, these tools orbit around your marketing strategy and babysit your followers. Here are a few powerful analytics tools for Pinterest Users that can break open your understanding of your market and provide the opportunity to be deliberate, and as a result, more successful on this social media platform. Pinterest has a powerful free tool built within the Business framework that tracks a variety of useful statistics as you gauge participation and interest among your audience. Average daily impressions, average daily viewers, top pin and board impressions, and views/engagement by date are all incredibly helpful when identifying which pins hit the mark and which pins hear crickets. You can also export data for future review and sharing. Average Daily Impressions and Average Daily Viewers – Beyond just the general average counts, this feature also includes a weekly percentage value that tracks growth or decline as compared to the previous week. You can also search by date range (7 days, 14 days, 30 days) to identify trends over time. 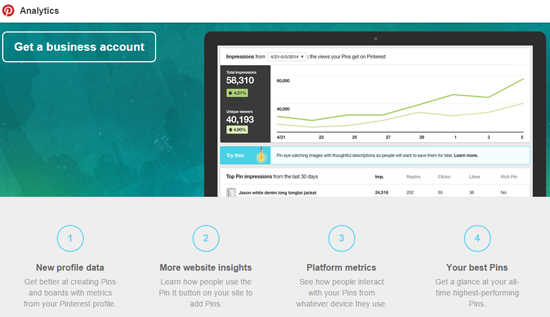 Top Pin and Board Impressions – Track the pins and boards that are most popular within your audience. Clicks, repins, likes, pin type and number of pins are all broken down for a clear visual on visitor traffic and areas of interest. 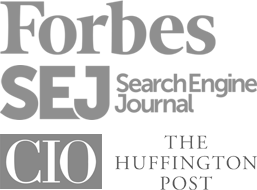 Compare whether rich pins are more successful or whether your audience gravitates to humor based content over knowledge base articles. All-Time Besties – The All-Time feature offers the unique opportunity to qualify your most repinned posts of all time, the “best in search” pins that rank higher in organic searching by users, and “power pins,” which are your high engagement pins that show a variety of activity. Demographics and Interests – Retrieve data on gender trends, language, global activity and more for both your followers and general audience over specified date ranges to determine editorial calendars and future marketing strategies. Do a cursory check of the interests of your followers to identify social trends and brand development as your “ideal client” reveals themselves through their pinning patterns. Available with affordable options for small business owners, Tailwind offers time-saving scheduling and shortcuts to streamline your pinning strategies, along with deeply creative insights to optimize your pinning schedule when your audience is most engaged. Track Pinterest activity related to your company, your products and even your competitors, and develop Key Performance Indicators for future campaigns by hashtags, profiles and domain. Publish: Identify optimal pin schedules, bulk schedule with the Chrome Extension and bulk upload feature, schedule repins and develop an editorial calendar. Track traffic and revenue over periods of time. Discover: Curate trending content, track brand mentions and conversations, identify influential Pinterest users in your industry and monitor your brand and competitors with ease. Measure: Gauge progress over time and track follower growth with historical insights on boards, repins, likes and comments. Analyze pin performance by category, keyword, board and more. Integrate with Google Analytics to mark revenue and traffic. Optimize: Take your analytical data and filter by board, date, category and more to identify what drives engagement and growth for your followers. 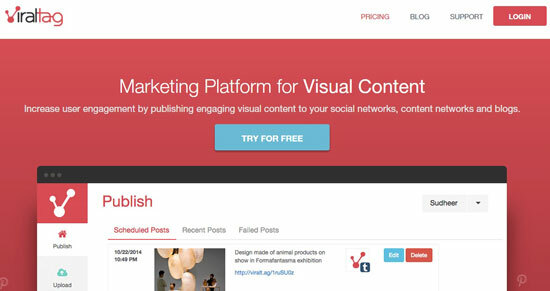 Use intuitive heatmaps to identify successful categories, and explore your most viral pins. 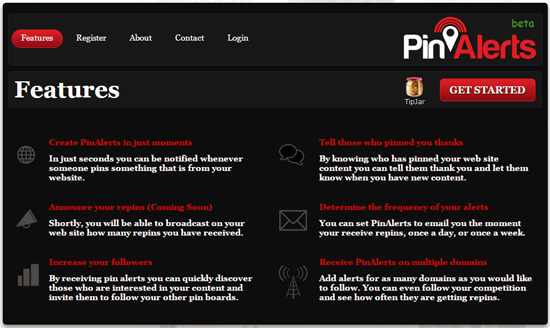 A beta application focusing on real time notifications when something on your website is pinned, Pin Alerts can help you identify engaged users, communicate gratitude and proactive engagement with your prospects and track multiple domains (even your competition!). This app will soon also allow users to broadcast repins and continues to explore creative avenues to track interest. Never miss an opportunity to maximize engagement. Marketed as a platform for visual content, ViralTag focuses on identifying and organizing compelling images to increase user activity. By integrating with top visual power players like Canva, Dropbox, Picasa and more, users can organize, schedule and curate captivating content. Use the bulk scheduling feature to develop specific intervals to post and queue up pins by date/time and board. Adjust descriptions and links right in the platform and use the Chrome extension to schedule on the go. Offering creative options like editing images and team development, ViralTag is always adding new and better ways to manage your marketing campaigns. As one of Pinterest’s very first official Pinterest Marketing Developer Partners, Ahalogy touts themselves as the marketer’s solution to Pinterest. Their laserbeam-focused expertise is designed to help content curators and marketers identify optimized content to deliver powerful and meaningful marketing campaigns on Pinterest. Regardless of which tool you choose, it’s clear that overlooking technology when developing a presence on Pinterest can be hugely time-consuming and incredibly frustrating. By taking steps to streamline your process and utilize the resources and know-how of the pros, you can maximize your strategy, track your progress and evolve for your audience. These powerful analytics tools for Pinterest can be the final key to your visibility and long-term viability, propelling you to more efficient engagement and better results.